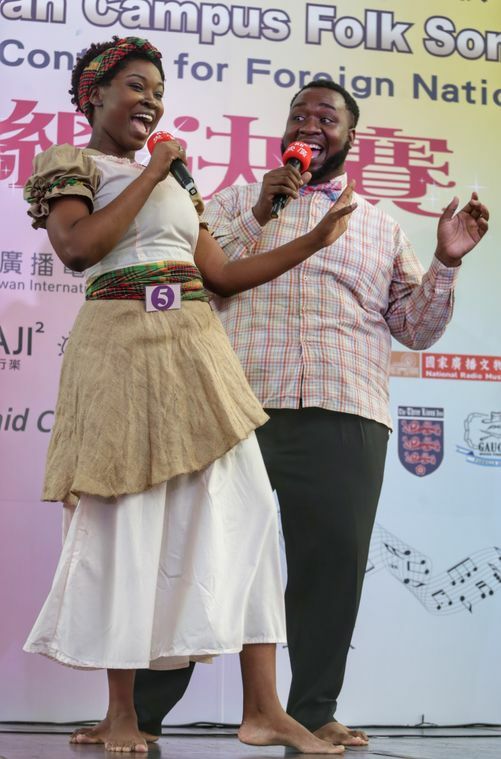 Taipei, Nov. 1 (CNA) Donya Francis and Rolhensha Henry of St. Kitts and Nevis won a foreigners singing contest of campus folk songs in Taipei Sunday in which more than two dozen finalists expressed their feelings and techniques in Mandarin on stage. Angel Kurniawi Chandra of Indonesia won second prize and Burocher Suart Venly of Haiti took third in the contest, organized by Radio Taiwan International (RTI). All the prize winners, two men and two women, are students, either already matriculated or in language programs at local universities. Venly has been staying in Taiwan for about three months. RTI President Lai Hsiang-wei (賴祥蔚) said RTI held the singing contest because this year is the 40th anniversary of the advent of campus folk songs. Previously, RTI held mandarin speech contests for more than a decade. Lai expressed hope that via campus folk songs, people at home and abroad can enjoy more cultural interaction. Twenty five of the 30 finalists showed up on the stage in Sunday's finals. All recordings of the 27 teams of either solo or duet singer finalists can be listened to on the website of Radio Taiwan International under the title of "Taiwan Campus Folk Songs Contest." A significant portion of the 30 finalists come from Asian countries such as Indonesia, Japan, Thailand, the Philippines, and Vietnam. 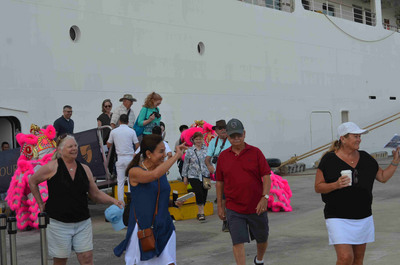 Other finalists come from Australia, Belize, Czech Republic, France, Haiti, Malaysia, Mexico, South Korea, St. Kitts and Nevis, the United Kingdom and the United States. Among the most-chosen songs by the 110 participants who submitted their recordings were "Ah Mei! Ah Mei! (阿美!阿美! )," "Look At Me! Listen To Me! (看我!聽我! )," "Just Like Your Tenderness (恰似你的溫柔)" and "You Are All Of My Memory (你是我所有的回憶)." The organizer listed 40 songs for participants to choose from. Taiwan's campus folk songs originated among college students in the mid-1970s as a reaction to the prevalence of Western rock music. The genre with Chinese cultural themes remained popular since then until the early 1990s. The jury for the final includes senior folk singers Shih Hsiao-jung (施孝榮), Wang Hai-ling (王海玲) and radio host Tu Pei-tsen (?佩岑).